Thanks to everyone who stopped by to check out the Share our Stories program! I'm excited about it and I'm glad you are too. Now back to sleep. I mean, talking about sleep. Apparently insufficient sleep is considered a disease! Insufficient sleep is linked to automobile accidents. Driving sleep-deprived is almost as dangerous as driving drunk. 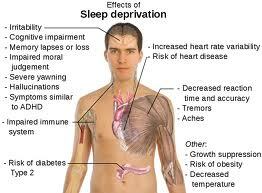 Not getting enough sleep is also linked to diseases like depression, diabetes and obesity. 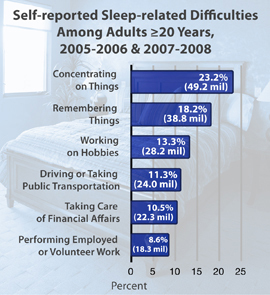 According to the CDC adults need 7-9 hours of sleep. Kids under the age of ten need 10-11 hours of sleep and teens need 8.5-9.5 hours. Even if I wasn't shocked by kids over the age of ten being included in the teens group (what!?! does that mean I almost have a teenager?) that information was still enough to shock, surprise and make me seriously question whether my family gets enough sleep. 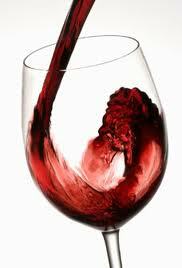 Now (confession time) I'm at my best when I get a full nine hours of sleep. But it doesn't happen all that often. Mostly because nine hours of sleep doesn't leave a lot of time to do anything else. To my point, I need to be ASLEEP by ten o'clock every night in order to get my required nine hours. Monday: Turned off the light at 10:20 because I was trying to finish a chapter of The Illumination. Pretty sure I was asleep by 10:30 which was good. Eight and 1/2 hours good! Tuesday: Those Eight and 1/2 hours left me supercharged. I bounced through the day. Book club that evening + a couple of glasses of wine meant I didn't get home until 10:30. Of course I was too wound up to go to sleep until I talked to my husband for an hour. And then, even after I'd exhausted his patience for listening to book club gossip and what happened on Twitter, I was still full of energy. Which meant I was up late. Way too late. Wednesday: I went to bed by 10:30 and was asleep instantly thanks to my late night on Tuesday. Unfortunately the early bedtime backfired. At 2:00 am I woke up and remembered something I'd forgotten to do. Which meant I had to get up, turn on the lights and address it. Big no-no! Sleep experts say you should not wander around your house in the middle of the night turning on lights and completing forgotten chores. Thursday: I don't know yet. If I've learned anything this week, it's that I should NOT promise to get up at 2:00 am to check in and let you know how it's going. Maybe sleep is a pattern and I'll be back to Eight and 1/2 hour Tuesday, supercharged and ready to go. So yea I am typically happy with 7 hours of sleep, though I dream of a day when I can consistently get 8 or 9. During the week I get just under seven hours. But I know what you mean by backfiring. I'll sleep in late on Saturday only to be wide awake that night because I got too much sleep. I guess my normal routine during the week is 7 hours of sleep -- 11pm to 6am. But yes, if I go to bed earlier, I feel SO MUCH better in the morning. But I don't get what I want done at night -- be that reading or writing. It is SO HARD to choose, especially because I am more creative at night than any other time. When my writing muse kicks in at 10:30pm, how do I walk away from it just because I'd like more sleep? I am feeling the effects of sleep deprivation right now. I have gone to bed SO late every night this week. My head is pounding. And blogging at 2 AM can be dangerous. If I get 7 hours, I'm good. Any more or any less and I wake up with a headache. I never wake up in the middle of the night and get out of bed though, to finish up chores and whatnot...lol. I will however, grab my book light and my book and read a bit if I really can't get back to sleep.